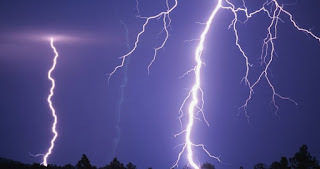 Three unidentified men, suspected to be in their early twenties, died on Thursday after being struck by lightning following a downpour in Ijebu-Ode, Ogun. According to eye-witness accounts, the incident occurred on the Otunba Dipo Dina International Stadium road in Ijebu-Ode at about 3 pm during the downpour. The News Agency of Nigeria (NAN) gathered that the victims, and a fourth person, had disembarked from the motorcycles they were riding on and ran toward a makeshift shelter for the rains to subside when tragedy struck. The three victims were said to have been hit while the fourth person took to his heels unharmed. The three corpses were still lying at the spot as at the time of filling this report. Investigations revealed that many bystanders refrained from going near the corpses for fear that the occurrence was related to perceived retribution from Sango, believed among the Yoruba to be the god of thunder. 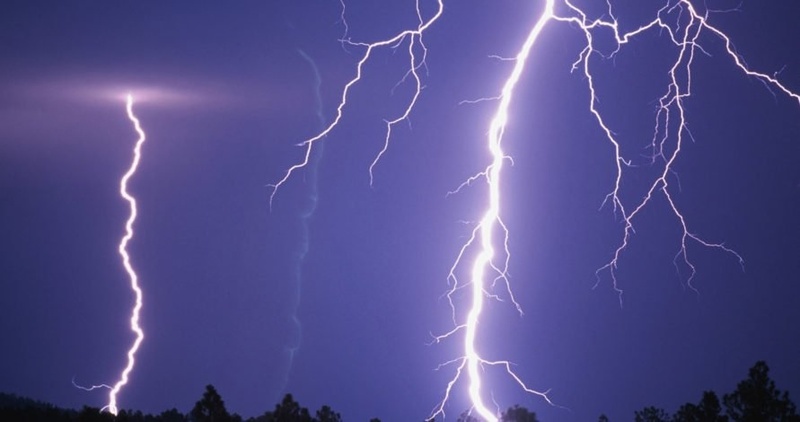 An eye witness, who claimed anonymity, told NAN that the people believe that anyone who died as a result of lightening was linked to punishment for wrong doing. “No one can touch or remove their bodies until after some traditional rites to appease Sango are done,” the witness said. NAN reports that police personnel who visited the scene also refrained from moving near the corpses as they mounted a perimeter fence at the scene.